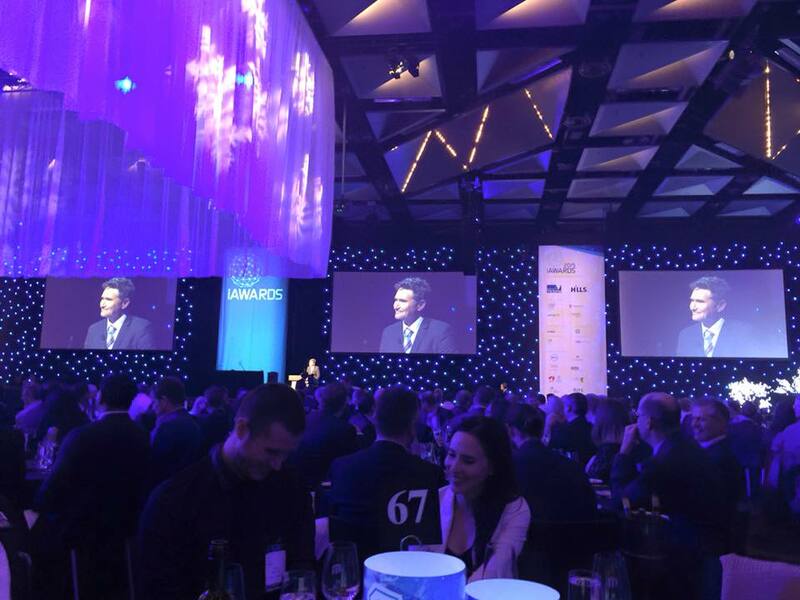 Then in August, Alex and I jetted across the country to the National iAwards in Melbourne, where we again presented on the project to the judges, and then attended some of the events around the awards ceremony. This included an interesting “VIP Lunch” for all of the finalists, which was sponsored by the UK Office of Trade and Investment and focused around entrepreneurship. I found this interesting not to hear from entrepreneurs, but from the agencies that support them. When I started Gaia Resources 11 years ago, it was from my kitchen table, with a rough idea to do a couple of years of contracting as an experiment to see if I could combine my two passions of environment and technology. There were minimal entrepreneurial advisory services, no incubators and no angel investors. Nowadays, well, we have a few incubators now, like Spacecubed, but little else has changed. It left me feeling a little bit sad at the state of the “industry” (be it information technology, spatial, environmental or whatever you like to call us), despite attempts by industry associations to work through these challenges. At the iAwards dinner, we got to hear very brief outlines of a range of different projects in the IT space, across the different categories. This was pretty interesting for a range of reasons (not just because Dave Hughes was the Master of Ceremonies) but because it really gave you a quick overview of what businesses were doing in the IT space. This also generated a few ideas and possibilities, but also spurred me on to look more closely at our own technology situation at Gaia Resources (ranging from our infrastructure, to our approaches to various products and projects). In turn, this set us up really well for a few client meetings while we were in Melbourne, too. With a bunch of fresh ideas in mind, we went to talk to a few existing and potential clients and came up with a range of interesting projects we can run in the future – and since then we’ve been working on getting these ideas into action, with more to come on those in the near future. So although I came home with a massive head cold/virus of some sort (which took Alex out for a few days as well), I also came home with a head brimming with ideas and plans for the future. Oh, and although we didn’t come back with an iAward, the journey was really interesting and has opened a few doors I didn’t even know were closed. Leave a comment below, or connect to us on Facebook, Twitter or LinkedIn.